Making a few changes to behaviour at home can result in worthwhile energy savings, but where no financial incentive exists to save energy it can be hard to encourage people to do this. 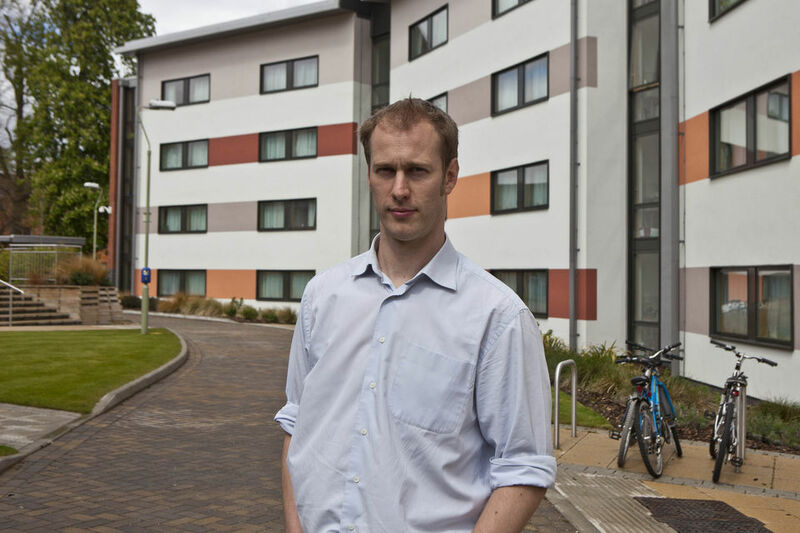 At universities in the UK most undergraduates live in halls of residence where use of electricity and heating is included in the rent, and as a result it can be difficult to reduce the energy use and CO2 emissions from these buildings. The Student Switch Off campaign tackles this problem by making energy saving a fun activity for students to engage in. At universities participating in SSO, different halls of residence compete with each other to see which can achieve the greatest reductions in electricity use, with rewards at the end of the year for the winners. I like that it was targeted at us in a fun way, not a ‘naggy’ way; otherwise you’d just switch off. 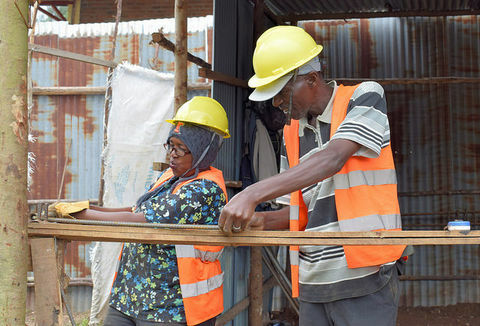 By implementing simple behaviour changes, people can curb some of the more wasteful uses of energy in their homes and save money on their fuel bills in the process. But wasteful energy behaviour is particularly difficult to tackle where no financial incentive exists to save energy. A good example of this is at universities in the UK, where most undergraduates living in halls of residence pay a set fee for accommodation and utilities, irrespective of energy consumption. It was whilst studying for a PhD at the University of East Anglia (UEA) in 2006 that Dr Neil Jennings decided to do something practical to help solve this problem. He took a business approach to tackling behavioural change and established the Student Switch Off (SSO) campaign, which encourages students to cut their electricity use. 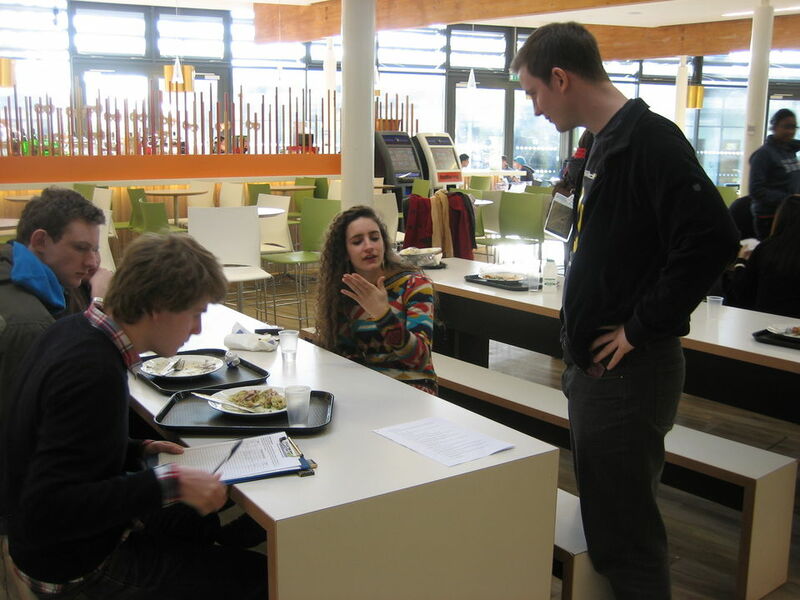 An initial pilot, sponsored by Ben & Jerry’s, E.ON, Odeon, The Independent and First Group, was run at UEA in 2006/7 before the campaign was extended to other universities. Student Switch Off is run by Neil Jennings Associates (NJA), a community interest company established in 2007. NJA first offered a commercial service to universities in 2007/8, when the campaign ran at seven universities followed by 11 more in 2008/09. In 2009, NJA partnered with the National Union of Students to scale SSO up to 33 Universities as part of Defra’s Greener Living Fund. NJA received accountancy and legal support from Carbon Leapfrog in 2009 which was key in enabling their expansion from 11 to 33 Universities in the space of a year. In the current 2011/12 academic year, SSO is running at 43 universities, with a pilot recycling campaign launched in four of these. The company, based in Kingston upon Thames, employs four full-time staff and one part-time member of staff. Total income in 2010/11 was £145,000, with £34,000 of this from grants and £111,000 from earned income. Over the course of the academic year, halls of residence compete against each other within individual universities to see which can achieve the greatest reductions in electricity use. The campaign provides incentives both at the individual and communal level to encourage students to adopt simple energy-saving behaviours. 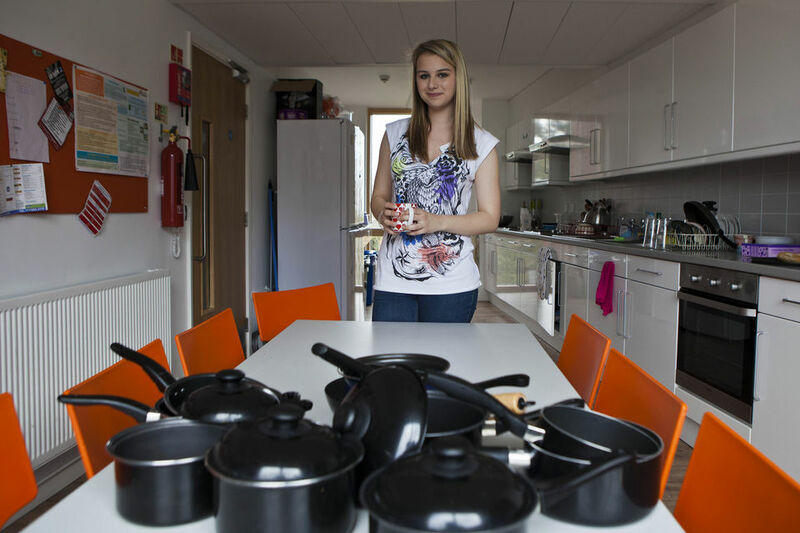 University halls of residence were targeted because for the majority of participating students it is their first time living away from home and they are establishing new energy behaviours (particularly around cooking) and are thus open to suggestion. 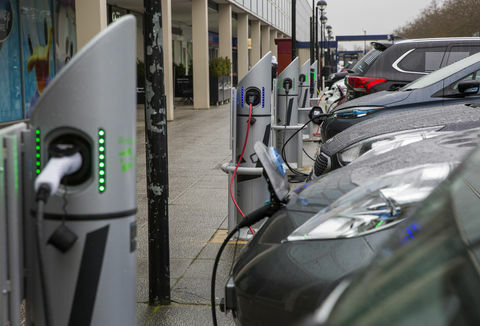 For university authorities there is a financial incentive to cut energy use and CO2 emissions and they are willing to pay for a cost-effective service that achieves this. The behavioural changes encouraged by the SSO campaign are simple and are promoted in a light-hearted manner using social media. SSO has been highly effective at meeting students where they are ‘at’: through a mixture of fun activities and healthy competition, it encourages behaviour change without requiring values change. Rewards are given at the individual and hall level to incentivise the adoption of energy-saving behaviours; and students are given regular feedback to let them know how they are doing in the competition. The SSO campaign typically starts with a stall at Fresher’s Fayre to encourage students to sign up and link to a Facebook page. Students who sign up are called ‘Eco Power Rangers’ and have a key role to play in promoting the campaign over the course of the year. Peer-to-peer encouragement is vital to the success of the campaign, and SSO focuses on raising awareness levels as high as possible at the start of the academic year. All students who sign up are invited to a communications and advocacy training course in the autumn term to show them how to encourage their fellow sudents in halls to take part. The training sessions allow students to suggest ways to raise awareness and improve the campaign. The number signing up for training has risen in the past year, partly because it is now being marketed to students as a useful transferable skill and good CV material. SSO disseminates information on cutting energy use via competitions, merchandise (e.g. beermats with energy-saving tips), university newspaper articles, posters and e-mails. Facebook is used to spread messages about energy saving to students who would otherwise not be exposed to them. Four basic energy-saving behaviours are promoted in student bedrooms and kitchens: switching off lights and appliances, putting lids on pans, not overfilling the kettle and putting on extra layers of clothing rather than turning up the heating. Most kitchens in student halls have electric cookers, which means that the potential for the wasteful use of electricity is high. The campaign encourages energy and CO2 saving, but does not emphasise financial savings because they accrue to the university and not to the students. Two or three specific activities are chosen each term: these include photo competitions on Facebook (for example, the most amusing photo of someone putting a lid on a pan), pledge campaigns, lunch time quizzes, room-to-room visits by SSO staff, and energy-saving obstacle courses (four to five stations with energy saving actions such as switching off lights, where the fastest student gets a prize). The campaign is flexible and responds to changing circumstances to keep up with its target group. For example, film screenings were organised initially, but these were discontinued because they weren’t proving effective. Individual prizes are a big motivator – in particular ice cream, toiletries, chocolates and cinema vouchers. There is an end of year treat for the hall of residence that achieves the highest kWh/day per student saving. Reading University, for example, provided a hog roast and an inflatable gladiator ring. Participating universities are charged £1.60 per hall resident plus VAT to host the campaign, with a minimum charge of £2,250 and a maximum of £5,250. Other costs incurred by the university are poster printing and paying for a celebratory event for the winning hall (£100–£1,500). Universities pay up-front at the start of the academic year. How is the impact of the programme measured? The impact of the campaign is measured through reduction in electricity use. Consumption data is analysed from the halls of residence for the four months when they have full occupancy (October, November, February and May). To host the SSO campaign, universities must have at least one year’s worth of historical data for their halls. Where possible, the average of the previous three years for the months of analysis is used. This provides the baseline against which the contemporary data is assessed. SSO then calculates the kWh/ day per student saving. The meter data is provided by the university at the hall level, so electricity usage within individual halls can be compared. If the university provides this data quickly, then SSO gets a league table back to the students within a month, which helps reinforce the energysaving message. Where the universities are not able to differentiate between individual halls, the SSO is run as a campaign rather than a competition, but the analysis is the same. 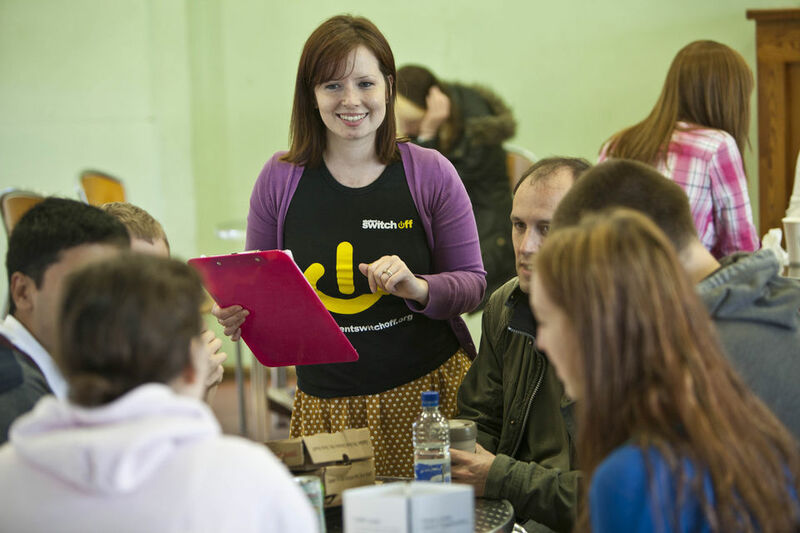 In 2010/11, about 16,000 students from 43 universities (17.5% of those living in halls) signed up to SSO and pledged to save energy, 6,500 took part in face-to-face and online quizzes and 498 attended training. In the current academic year, 2011/12, about 18,000 signed up (19% of those in halls), and by March 2012 5,450 students were on the SSO Facebook fan pages, 8,000 had taken part in quizzes and 873 had attended the training sessions. 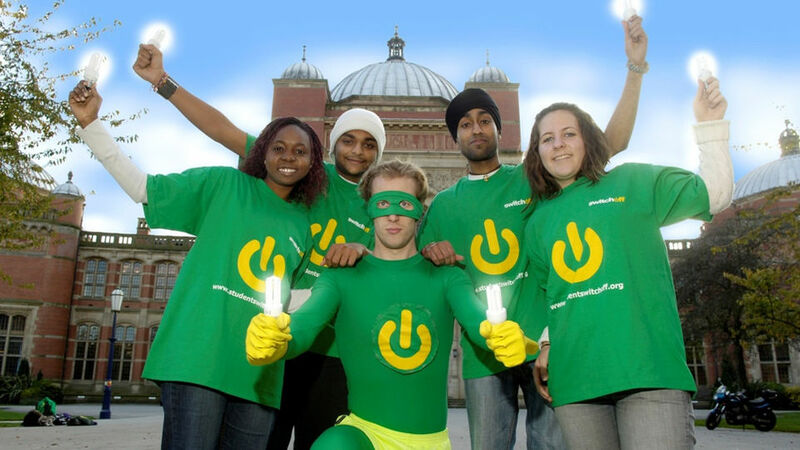 SSO’s target of 15% of students in halls pledging to save energy has been surpassed in the last three academic years. Since the campaign began in 2006/7, 325,500 students have been exposed to SSO’s energy saving messages. 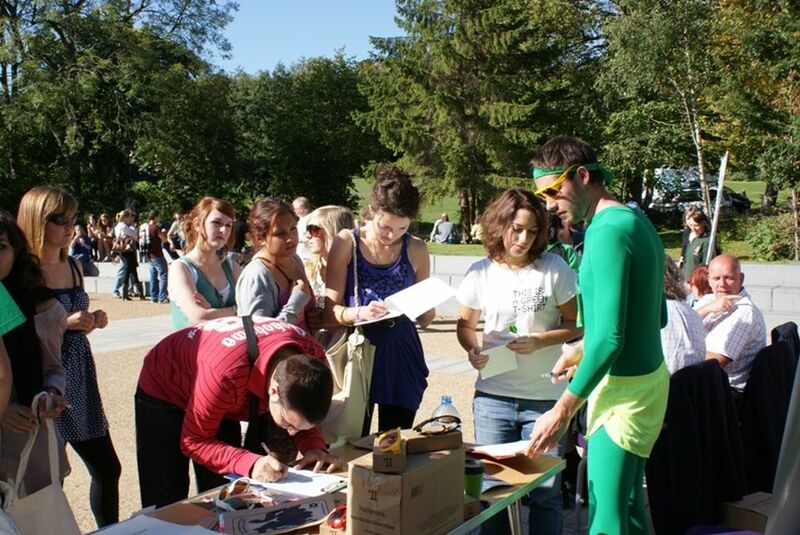 Over that period, 52,000 students have been more directly engaged by signing up as an Eco Power Ranger. NJA conducted an end of year survey in 2010/11, in which 88% of the respondents said that they had saved energy as a result of the SSO campaign. Over the last three years, SSO has achieved average reductions in electricity consumption at participating universities of 6.7% (2009/10), 7.0% (2010/11) and 7.6% (2011/12 to date). Electricity savings per student in 2010/11 averaged 0.36 kWh/day, a reduction brought about purely as a result of behavioural change, since other factors which might lead to reduced energy use (for example, changes to the fabric of the building) had already been factored in to the baseline. These figures are only for the four full-occupancy months that are measured, so in practice the savings will be higher still. Savings on gas for heating are also not included. The SSO campaign in 2010/11 resulted in CO2 savings of 1,500 tonnes for the four months monitored, based on Defra’s conversion factor of 0.54kg of CO2 per kWh of electricity. In the past two years, SSO has carried out a significant amount of monitoring and evaluation of the programme as part of its Defra-funded work. Interviews with students involved in the campaign have provided strong evidence that it has brought about a change in behaviour. Students think the campaign is fun, and like the emphasis on reward rather than punishment. The format of the SSO campaign also helps build community spirit and cohesion, particularly within halls of residence. The format of the SSO campaign also helps build community spirit and cohesion, particularly within halls of residence; and can attract groups that are often less involved with hall life, including overseas students and non-drinkers. Most students move out of halls after their first year into private rented accommodation, where they pay the energy bills themselves. As such they then have a direct financial incentive to use energy carefully. The end-of-year SSO survey for 2010/11 revealed that 93% of respondents considered themselves either ‘likely’ or ‘very likely’ to carry on the energy-saving behaviours in the future. Universities themselves benefit from the SSO campaign beyond just the financial and CO2 savings. 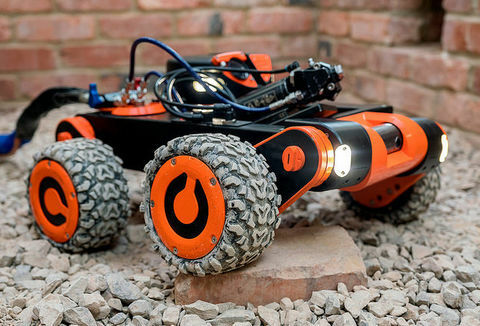 It helps them engage more actively with the student community and understand how to communicate effectively with them; and it galvanises universities into taking action which would take longer if delivered in-house. SSO is also perceived by students as a selling point when choosing halls. Participating universities save money through the SSO campaign. In 2010/11 they, or their hall management companies, saved £3.52 per resident over the four months that were monitored, giving a total net saving of £232,000. In practice savings are likely to be much higher than this, since the data is only based on 120 days of student residence, rather than the 220 days that most students spend in residence over the full academic year. SSO has itself created six full-time jobs and paid over 50 students as for casual work, mostly around Fresher’s Fayre events. There are plans to add a recycling-based component to the campaign, to run alongside the existing energy competition. Recycling pilots are currently running at four universities (funded by Defra), with a view to turning them commercial in the future. The characteristics of university halls (large scale, homogenous use of energy coupled with straightforward data) make them a good place to demonstrate the impact of behaviour change on energy consumption. But the long term goal is to expand this programme to other target groups, such as schools. 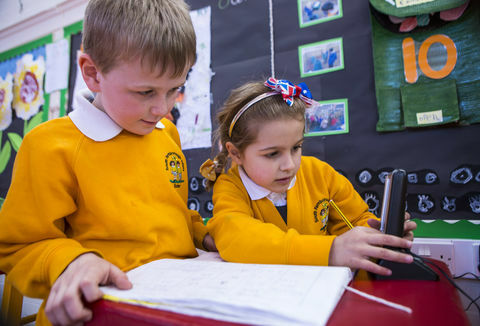 NJA are keen to build on the success of a school pilot – School Switch Off – which ran in March 2011. Working in partnership with the National Union of Students, NJA is also looking at expanding the campaign abroad, with an initial focus on EU countries.